I have now been back 5 weeks from my amazing Wedding and Honeymoon, and I've been back on the mission to change my Running Style. 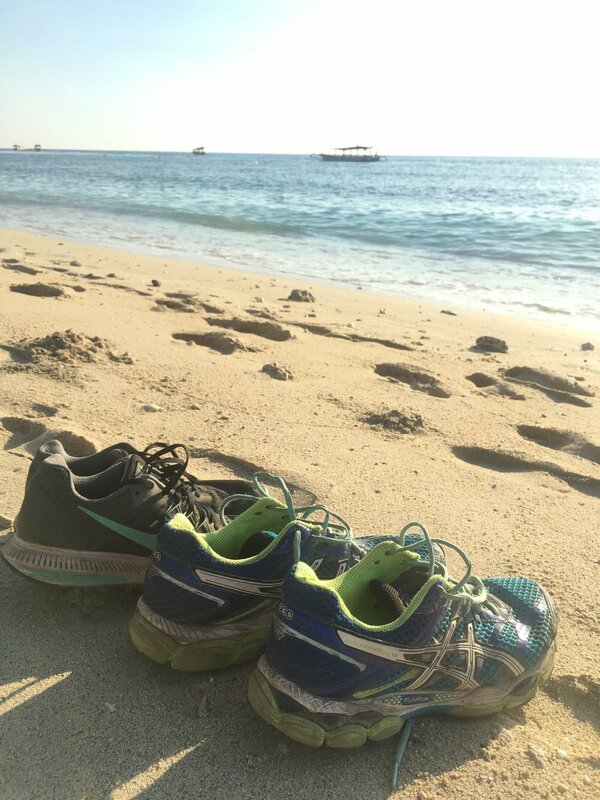 One thing is clear: 4 weeks of paradise definitely makes you slower... For the first time I was running Parkrun in over 20 mins (20:20) and it's taken me a few weeks to get it back under (last week was 19:40). Using my new Newton running shoes I decided to structure in some forefoot running. I started running my 5k's with running the last 1k on my forefoot. It felt faster and easier! I'm lucky enough to train lots of amazing clients everyday so I started running on the forefoot with them too. One thing was clear, I had to be careful not to do too much like that, as my calves and achilles were getting tender. It's all about changing gradually. Last week I did the last 2k of the parkrun on my forefoot. For the first time my last 2kms were as fast as my first 2kms!